401(k) Help Center - Need help with 401k and 403(b) plan rules and other issues? The 401k Help Center has have answers for plan sponsors, small business and plan participants. Latest on 401k trends, opinion, rule changes, insights, surveys, studies and more. 401(k) Plan Fee Disclosure Form - This form assists you in making informed cost-benefit decisions with respect to your plan. The purpose of this form is to help you determine the total cost of the plan. It is also intended to provide you with a means to compare investment product fees and plan administration expenses charged by competing service providers, regardless of how a particular service provider structures its fees. Topic 413: Rollovers from Retirement Plans - A rollover occurs when you withdraw cash or other assets from one eligible retirement plan and contribute all or part of it within 60 days to another eligible retirement plan. This transaction is not taxable but it is reportable on your Federal Tax Return. Topic 424: 401(k) Plans: A section 401(k) plan is a type of tax-qualified deferred compensation plan in which an employee can elect to have the employer contribute a portion of his or her cash wages to the plan on a pretax basis. These deferred wages (commonly referred to as elective deferrals) are not subject to income tax withholding at the time of deferral, and they are not reflected on your Form 1040 (PDF) since they were not included in the taxable wages on your Form W-2 (PDF). However, they are included as wages subject to social security, Medicare, and federal unemployment taxes. Topic 558: Tax on Early Distributions from Retirement Plans - To discourage the use of pension funds for purposes other than normal retirement, the law imposes an additional 10% tax on certain early distributions of these funds. Early distributions are those you receive from a qualified retirement plan or deferred annuity contract before reaching age 59 1/2. 401Kafe - Information that helps you understand and manage a 401(k) plan. A Complete Beginner’s Guide to 401(k) Plans - Trent Hamm covers what a 401(k) (and a 403(b)) is, why it is really useful to you, how to sign up, and how you’ll be able to get money out of it when you retire. A Look at 401(k) Plan Fees (U.S. Department of Labor) - The information contained in this booklet answers some common questions about the fees and expenses that may be paid by your 401(k) plan. Collected Wisdom on 401(k) Plan Fees and Expenses - From 401(k) Help Center. Deciding What to Do with Your 401(k) Plan When You Change Jobs - When you change jobs, you need to decide what to do with the money in your 401(k) plan. Should you leave it where it is, or take it with you? Should you roll the money over into an IRA or into your new employer's retirement plan? As you consider your options, keep in mind that one of the greatest advantages of a 401(k) plan is that it allows you to save for retirement on a tax-deferred basis. When changing jobs, it's essential to preserve the continued tax-deferred growth of these retirement funds, and to avoid current taxes and penalties that can eat into the amount of money you've saved. Defined Contribution / 401 (k) Fee Study - As part of an ongoing comprehensive research program, the Investment Company Institute (ICI) engaged Deloitte to conduct a survey of defined contribution / 401(k) plan sponsors and create this report to shed light on how fee structures work within the defined contribution plan market. The data and observations in this report are based on the survey responses of 130 plans. The survey was conducted online and through plan sponsor interviews between November 1 and December 31, 2008. Determine how expenses in group annuities compare to publicly traded funds. Group annuity plan participants don't own mutual funds-they own a share of a pool of assets. As a result, account statements show prices of "unit shares," not fund shares. Unit shares do not correlate with any publicly traded mutual fund. This hides the underlying expense ratios of the annuities. Find out what "fees waived" means. In many cases, the broker's sales proposal says administrative fees are "waived" or "included." The point of such language is that the employer has no out-of-pocket expenses, but such statements ignore that participants pay for the services out of their investments. The Department of Labor (DOL) says that an employer must "ensure that the fees paid to service providers and other expenses of the plan are reasonable in light of the level and quality of services provided." Don't confuse the proposal or the adoption agreement with the actual contract. The proposal is a sales document, meant to show the provider in the best light. The adoption agreement helps fit desired plan provisions into a "prototype document." But the contract is typically delivered after a verbal agreement has been made, or even after a letter of intent has been signed. The contract should be signed only after it has been thoroughly reviewed. Don't allow a provider to begin the installation process prior to delivery of the full contract. Frequently, enrollment meetings are held before the contract is delivered and signed. This benefits the provider by making it awkward for the employer to back out. Examine unspecified "recurring charges." Often, marketing materials or fund information pages will say, "the reported past performance does not reflect the annuity's mortality and expense risk charge and other recurring charges." Employers should determine what the recurring charges are and what the impact of such charges is on the plan and participant holdings over time. Get a written explanation of fund expense ratios. Funds may be labeled "no-load" when they carry no front-end or back-end sales charge, but some plan providers use "no-load" funds that have higher-than-average expense ratios. A fund's expense ratio in your proposal may be, for instance, 1.06%. But when you check that fund's expense ratio on the fund company's Web site, you may find the same fund has a maximum expense ratio of 2.35%. 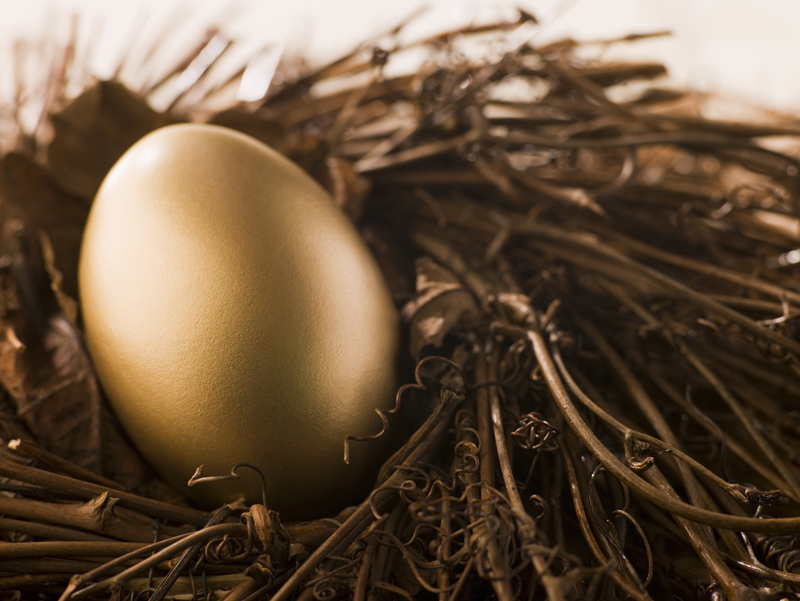 Fees Eat Away at Employees' 401(k) Nest Eggs - Article in Los Angeles Times, April 23, 2006. By Walter Hamilton, Kathy M. Kristof and Josh Friedman. Fixing the 401(k) - This blog by Joshua P. Itzoe is intended to provide timely and useful information concerning fiduciary responsibility, ERISA, and developments in the rapidly changing 401(k) industry. It is based the belief that the U.S. retirement system is broken and in critical need of repair and transformation. How to Plan (& Provide) for a Child with Special Needs - With planning and preparation, you can help to ensure your child has the help they need, now and for the future. There are lots of organizations and services that can make the cost more manageable. This guide walks you through some of the steps you can take to help provide for your child. Is Your 401(k) Foolish? - For many, a properly used 401(k) plan is an integral part of any completely Foolish retirement. But just because your employer offers a 401(k) or other deferred compensation plan (like a 403(b)), that doesn't mean there's anybody in your office that will tell you what to do with it. 401k backgrounder from Foolish.com. Structure of 401(k) Fees - Increasingly, people are depending on 401(k) and similar defined contribution plans sponsored by their employers for their retirement income. As a result, participants in these plans also are paying more of their plans' costs, ranging from administration and sales expenses to the cost of managing investments. These costs can take a substantial toll on retirement savings. Over a 30-year career, for example, paying an annual fee of 50 basis points can reduce the purchasing power of savings at the time of retirement by one-eighth. Employers who sponsor 401(k) plans have a fiduciary responsibility to ensure their plans' fees are reasonable and communicated to participants. Recently, the Government Accountability Office reported that participants need more information and sponsors need to disclose this information more effectively to fulfill this responsibility. The Department of Labor is revising regulations to require sponsors to report the fees of their plans more clearly to their employees. Congress also has been holding hearings, inquiring if greater disclosure would help reduce costs within 401(k) plans. This brief reviews the structure of 401(k) plans, describing the services they provide and the cost of these services. It also reviews the typical schedules of fees that providers of financial services charge plan sponsors and participants. It finds that 401(k) fees are so complex, confusing, or obscure that many sponsors and participants report that they do not understand either their magnitude or their consequences. The structure of fees does not correspond closely to that of costs. Fees for some services often are set high enough to subsidize the provision of other services within the plan. In some circumstances, when the funds of a 401(k) plan are pooled with the funds of other investors, the plan's participants might be paying a share of the trading costs incurred by investors who do not belong to the plan. This brief concludes that clearer, more complete disclosures of the fees charged by 401(k) plans would help sponsors and participants make more economical choices. These disclosures would be most effective if the structure of fees were remodeled to match more clearly the specific costs of providing the various services within 401(k) plans. Study of 401(k) Plan Fees and Expenses - Final report from Pension and Welfare Benefits Administration. Submitted to Department of Labor on April 13, 1998 by Economic Systems, Inc. Your 401(k) Plan Fee Guide - By Clifton Lipton: Fees reduce your overall return. To take a simple example, if your investments return 7 percent but you are charged a fee of 1.5 percent, your real return is 5.5 percent. When the stock market was regularly posting double-digit returns in the 1990s, a 1.5 percent fee probably seemed insignificant. But, as the stock market declined recently, retirement savers became more aware of fees' impact on their accounts. A Department of Labor example taken from its pamphlet A Look at 401k Plan Fees for Employees shows how they can affect your returns. This is available for free on the DOL's Web site. "Assume you are an employee with 35 years until retirement and a current 401k account balance of $25,000. If returns on investments in your account over the next 35 years average 7 percent and fees and expenses reduce your average returns by 0.5 percent, your account balance will grow to $227,000 at retirement, even if there are no further contributions to your account. If fees and expenses are 1.5 percent, however, your account balance will grow to only $163,000. The 1 percent difference in fees and expenses would reduce your account balance at retirement by 28 percent." AARP - A membership organization for people age 50 and over. Operates as a non-profit advocate for its members. It is one of the most powerful lobbying groups in the United States. Also see AARP: The Magazine and Wikipedia. American College of Trust and Estate Counsel (ACTEC) - A national organization of approximately 2,500 lawyers demonstrating the highest level of integrity, commitment to the profession, competence and experience as trust and estate counselors. One of the central purposes of ACTEC is to study and improve trust, estate and tax laws, procedures and professional responsibility. BenefitsCheckUp - Identifies federal and state assistance programs for older Americans. Presented by the National Council on the Aging. CalPERS - Administers health and retirement benefits on behalf of more than 3,000 public school, local agency and California State employers. Members number more than 1.6 million in our retirement system and more than 1.3 million in our health plans. Center for Retirement Research at Boston College - Promotes research on retirement issues. ElderNet Retirement Benefits - Information resource about protecting your retirement. Employment Benefits Security Administration (EBSA) - Committed to educating and assisting the 150 million Americans covered by more than 695,000 private retirement plans, 2.8 million health plans, and similar numbers of other welfare benefit plans holding near $5 trillion in assets; as well as plan sponsors and members of the employee benefits community. EBSA balances proactive enforcement with compliance assistance and works diligently to provide quality assistance to plan participants and beneficiaries. See EBSA Consumer Information On Retirement Plans. Employee Plan News (IRS) - A periodic newsletter with retirement plan information for retirement plan practitioners - attorneys, accountants, actuaries, and others. Federal Retirement Thrift Investment Board's (FRTIB) - Administers the Thrift Savings Plan (TSP), which provides U.S. Federal employees the opportunity to save for additional retirement security. The TSP is a tax-deferred defined contribution plan similar to a private sector 401(k) plan. The TSP is one of the three parts of the Federal Employees' Retirement System. Finances of Selected Public Employee Retirement Systems - A quarterly survey that provides national summary data on the revenues, expenditures, and composition of assets of the largest public employee retirement systems. This survey currently consists of a panel of 100 retirement systems which comprise about 85 percent of financial activity among such entities. freeERISA - Source for the latest available pension and benefit information for U.S. employers. Using freeERISA.com, you can locate, view and download facsimiles of employers' most recent form 5500, as filed with the U.S. Department of Labor. ING Direct - Savings account, CDs, mortgage, home equity, investment account. Investment FAQs - Enter your own question to search for answers about investments and personal finance. InvestorGuide - Personal finance and investing information. IRAHELP - The home of Ed Slott's IRA Tax Center. Ed Slott, CPA is the publisher and editor of The Slot Report, a newsletter focusing on tax & estate planning for your retirement savings. Ed Slott is a highly sought after Keynote Speaker, making national presentations to financial planners, insurance professionals, brokers, banks, mutual fund companies, business groups and consumers. LPL Financial - Provides its financial advisors with the tools they need to help you meet your goals. LPL Financial is one of the nation's leading diversified financial services companies and the largest independent broker/dealer supporting more than 12,000 financial advisors nationwide. Meeting Your Fiduciary Responsibilities - This booklet addresses the scope of ERISA's protections for private-sector retirement plans (public-sector plans and plans sponsored by churches are not covered by ERISA). Mint.com Blog - Personal finance advice, learn money management tips and how Mint can help with financial planning. Money.co.uk - A free, online comparison service allowing customers to compare a range of personal finance products and utility services. Morningstar's Retirement Portfolio Week - Aims to help retired or near-retired investors address the concerns facing them today, with tips on survival tactics for a rising interest rate environment, finding the right asset allocation in retirement, balancing income and total return, optimizing withdrawal strategies, incorporating annuities into a portfolio, and maximizing Social Security benefits. My Budget 360 - Investing ideas for preserving wealth. National Conference on Public Employee Retirement Systems (NCPERS) - The largest trade association for public sector pension funds, representing more than 550 funds throughout the United States and Canada. It is a unique non-profit network of trustees, administrators, public officials and investment professionals who collectively manage nearly $3 trillion in pension assets held in trust for approximately 21 million public employees and retirees - including firefighters, law enforcement officers, teachers, and other public servants. National Institute on Retirement Security (NIRS) - Seeks to encourage the development of public policies that enhance retirement security in America. New York Life Calculators - Use these tools to educate yourself on financial products: College Education; Life Insurance; Estate Tax Planning, Savings Calculator; Budget Calculators; Mortgage Calculator; Retirement Calculators; Required Minimum Distribution; Tax Deferral Calculator; Lump Sum Tax Deferral Calculator; Social Security Quick Calculator; Social Security Benefit Calculator. Office of Personnel Management (OPM) - See OPM Retirement Information and Services. Pension Benefit Guaranty Corporation (PBGC) - Protects the retirement incomes of about 44 million American workers in more than 35,000 private defined benefit pension plans. PBGC is a federal agency created by the Employee Retirement Income Security Act of 1974 (ERISA) to insure and protect pension benefits in private traditional pension plans known as defined benefit plans. If your plan ends without sufficient money to pay all benefits, PBGC's insurance program will pay you a benefit. Its financing comes mainly from insurance premiums paid by companies whose plans we protect, not from taxes. Your plan is insured even if your employer fails to pay the required premiums. Pension Policy Center - Provides analysis and consulting on pension policy, social security policy, and policy concerning the labor market for older workers. Pension Protection Act of 2006 - Provided by U.S. Department of Labor. Also see FAQs on Pensions and Retirement. Personal Finance and Retirement Center - Nolo answers your questions about Social Security, Medicare, tax-saving and investment strategies, and retirement and personal finance tips. Principal Financial Group - A leading global financial institution offering businesses, individuals and institutional clients a wide range of financial products and services including retirement and investment services, life and health insurance and mortgage banking. Cash-Equivalent Yield of Guaranteed Lifetime Income Benefit (GLIB) - The "Guaranteed" rates on a Guaranteed Lifetime Income Benefit (GLIB) can be confusing. This calculator evaluates how much GLIB "Guarantees" are really worth. Reporting and Disclosure Guide for Employee Benefit Plans - Intended intended to be used as a quick reference tool for certain basic reporting and disclosure requirements under the Employee Retirement Income Security Act of 1974 (ERISA). Retirement and Medicare - Filing for benefits online and information on eligibility requirements. Retirement Living Information Center - An array of resource materials, including books and online publications, taxes by state, a guide to state aging agencies, retirement news, shopping for special assistive products and services, and links to online stores. Simple Living Network - Questioning lifestyle choices and values, encouraging a more simple and uncluttered life. Social Security Administration (SSA) - A guide to help with understanding the history, the benefits, and financing of the Social Security program, Social Security news, Code of Federal Regulations (Title 20 - Employees' Benefits, Chapter III - Social Security Administration), SSA Retirement Suite, of calculators, eligibility issues, FAQs, and retirement information, SSA history. Official U.S. government Social Security Administration agency site. Stichting Pensioenfonds ABP - The pension fund for employers and employees in service of the Dutch government and the educational sector. ABP is Europe's largest pension fund. For that reason, ABP operates in the financial centres of the country and the world: Amsterdam and New York. The mission of ABP is a simple one. Achieve the highest possible yield. Minimize the risks. Thrift Savings Plan (TSP) - The TSP is a retirement savings plan for civilians who are employed by the United States Government and members of the uniformed services. The Federal Retirement Thrift Investment Board, administers the Thrift Savings Plan, and its website provides information about the FRTIB electronic reading room, procurements, and employment opportunities. TREA Senior Citizens League - Consists of vocally active senior citizens concerned about the protection of their Social Security, Medicare, and veteran or military retiree benefits. TreasuryDirect - The first and only financial services website that lets you buy and redeem securities directly from the U.S. Department of the Treasury in paperless electronic form. You enjoy the flexibility of managing your savings portfolio online as your needs and financial circumstances change - all the time knowing that your money is backed by the full faith and credit of the U.S. government. Offers product information and research across the entire line of Treasury Securities, from Series EE Savings Bonds to Treasury Notes. USAA Educational Foundation - Covers almost every chapter of life with topics that include: Family and Life, Financial Planning, Home and Vehicle, Insurance and more.Through these resources, you will learn how to manage your finances, improve the safety of your home, buy a safer vehicle, gain insight into financing your child's college education, and much more. Wills, Trusts, and Estates Center - From Nolo. This webpage last updated on Monday, October 16, 2017 2:00 PM.